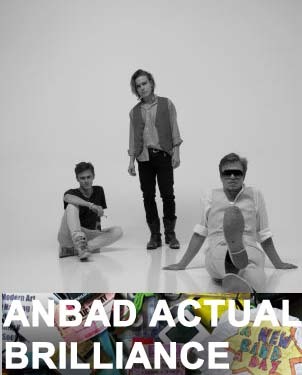 I do sometimes worry that anyone browsing through the ANBAD archives (which you can do just over there, on the right) will get the impression that the new bands are merely a cover story, and that in reality the site is a sneaky subsidiary of the Scandinavian Tourist Board. It seems that every other post blathers, semi-coherently and effusing, about the wonderful bands’ ceaseless streaming out of that part of the world. But the thing is that it’s true – our blonde northern Euro cousins are producing a glut of vibrant, clever, simple and self effacingly fabulous bands, and I’m happy to have banged on about them since day one. So while it sounds insulting to point out that Finland’s Joensuu 1685 are just the latest in a very long line of tuneful, sweet and bright Scandinavian bands, it’s actually the highest compliment I could pay. And a swooning, beautiful, woozy song like You Shine Brighter Than Light is testimony: it feels like the strange elation that follows a period of extreme sadness. Joensuu 1685 are good: their songs drone just enough to hypnotize, but not enough to drear; their pop sound is charming but not twee; and songs like the widescreen, driving Crystal Light rocket skywards as if under their own power. Posted on January 18, 2010 by Joe Sparrow. This entry was posted in "Brilliant" Bands, Headline, Today's New Band and tagged Finland. Bookmark the permalink. Val Venosta, Horror-Puns, and The Abominable Dr. Phibes | A New Band A Day!